Add a business number and turn your cell phones into a professional virtual phone system. 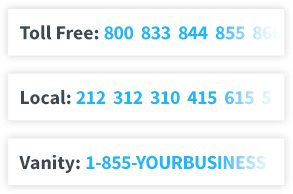 Choose a toll free, local or vanity number that perfectly matches your business, or keep your existing number. Record a professional greeting and easily add department & employee extensions with voicemail. Calls, voicemails, & fax forward to your team’s extensions on their existing cell, home or office phones. 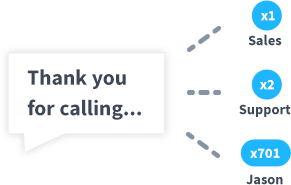 We love UniTel Voice for many reasons, but the one thing that really sets them apart is that there are real people behind this company and they're an absolute pleasure to deal with. I really can't say enough good things about UniTel Voice, we couldn't be happier. UniTel Voice was easy from start to finish. They help you set up your phone system and answer any question you may have. We would recommend UniTel Voice to anyone that has a business. Great customer service! 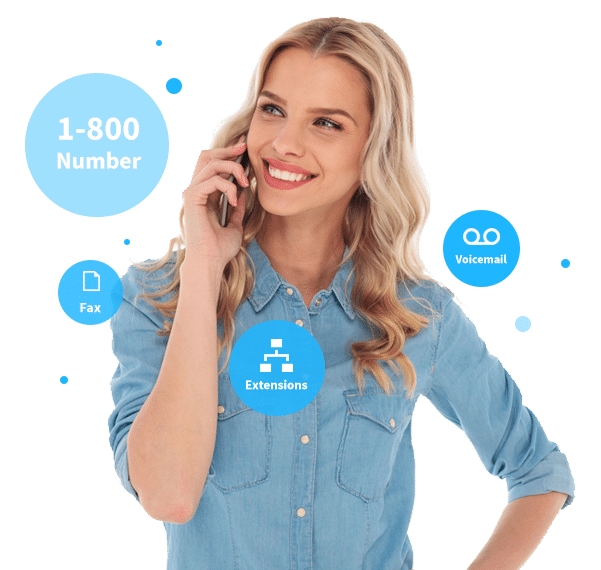 UniTel Voice offers competitive pricing, however, what sets them aside from their competitors is their customer service. It is amazing. I highly recommend this company and will remain a loyal customer for considerable time. Run your business from your cell phone & sound professional. 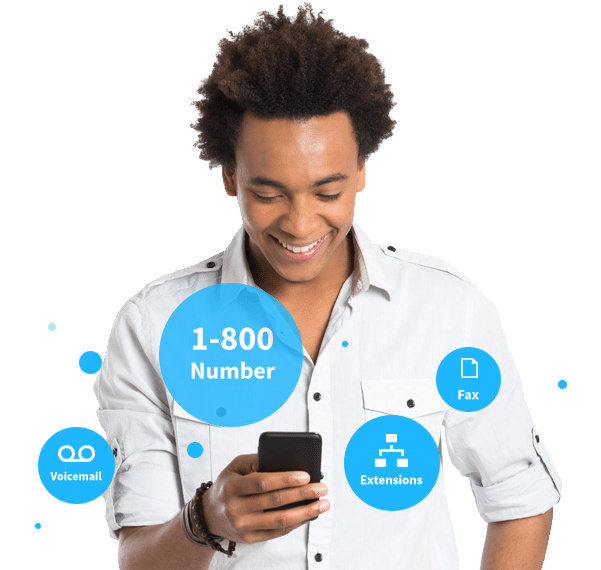 Get a toll free number instantly, search for a specific vanity phone number (e.g., 1-800-CAR-WASH) or transfer your existing 800 number to UniTel Voice. 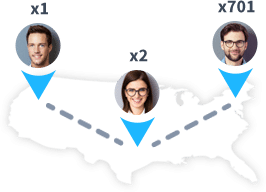 Get local virtual phone number in any area code so you can have a local presence in cities across the US and Canada like: New York, Los Angeles, Chicago, & Toronto. 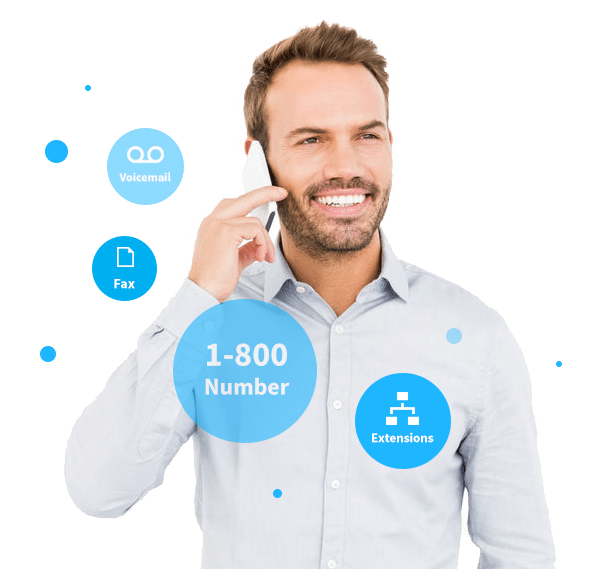 UniTel Voice is a cloud-based phone system with an easy-to-use auto attendant and virtual PBX that lets you manage your business calls from anywhere. Check out the latest from our blog Startup Stockpile. It’s full of useful tools for small business owners & entrepreneurs.